Teen Boys Celebrities Hairstyles. If you are a teen and are undergoing the crisis of not figuring out how to get the best of your uniquely shaped hair, then there is much hope, we can assure you of that. Often our hair transforms as we age and takes an odd shape that we never saw coming and they seem to resist absolutely all hairstyles we try on them. For that, here is a backup. Here are some stunning hair tricks of male celebs that you probably would have missed out on. If one doesn’t work, there are many others, which means so much room to experiment. Have a look, and find the one that will best suit your facial structure. Read on to see the latest hairstyles of the cutest and youngest celebrities from around the world. 14-year-old Max Charles recently revealed his new hairstyle and the internet is totally crushing over it. 16 year old Ty Simpkins amazed everyone in Jurassic World with not just his great acting skills but also his immensely cute looks. We love this picture of his with messy curls as he attends a sports match. Here are 20 Summer Outfits For Teenage Guys. Once again we have Ty Simpkins giving us major hairstyle goals for prom or even a formal date night. You should also check out these 20 Best First Date Outfit Ideas for Boys to Impress Her. So we all know that his hair only seems to be getting longer with the passing years. But if you, like him, want to bring out the stunner in your curls, then this is the way to do so. All his hairstyles are surely one timeless bit of fashion and we would love to try on each because each is classy in its own manner. Do check out these Mustache Styles for Teenagers. Here’s a video tutorial to help you master the trending quiff hairstyle. It’s an awesome hairstyle for back to school days and this look can be achieved pretty easily. It’s a messy pompadour with a slicked back quiff and would look awesome on any late teen guy. Surely you know him through the best of action films and his cool undercut is all we really look up to for some best hair fashion. The beard surely complements this hairstyle and balances out the whole look so do check out these 21 Beard Styles for Teen Guys to Look Cool. Zachary Gordon is another teenage American actor who has wowed everyone with his good looks. His dark brown hair are usually cut and styled short and crisp. A hairstyle like his would look best on teenage boys with round, oval and heart-shaped face cut. He always lets a few strands of his hair fall on his face for the effortlessly casual style. 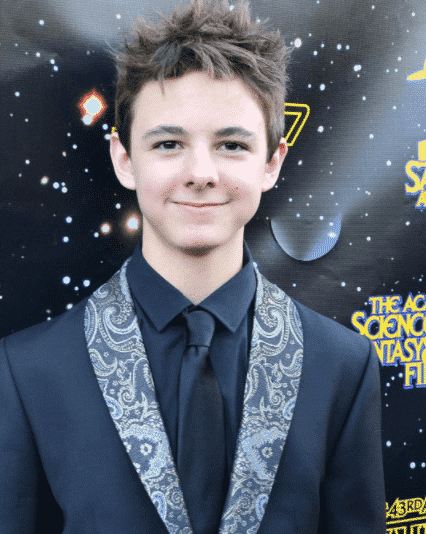 He has surely come a long way since his wimpy kid days, what do you think of his all grown up look? Take some wax in your hands and spread it out evenly on your finger tips. Make sure you wash your hair before applying the wax to avoid oily hair. Using your waxy fingertips, pull your mid-section hair upwards but in different directions for a messy look. Style your side hair neatly with a comb, you can use wax here too if you want a sleek look. Here’s a hairstyle that would work extremely well as a back to school look. Teen celebrity David Mazouz is loved by ladies for his glowing skin and laid back style. He has a round face cut so this style goes really well with it. Whether you’re a fan of snapbacks or the traditional baseball hats, you know that styling your hair with them can be tricky so do check out our awesome guide on 25 Ways to Wear Hair with Snapback for Guys. The teenage heartthrob Shawn Mendes is undoubtedly one of the most good looking teens in the industry. He has the most symmetrical oval shaped face and his hair are definitely the best feature he has. He usually goes with a casual and short haircut in layers but often styles them in spikes look for his concerts. Though not really a teenager anymore, Zayn Malik still continues to be an inspiration for teens around the world, especially because of the experimentation he does with his personal style. He is never afraid to try new and even crazy hairstyles or hair colours but most people love his spiky hairstyles so here are the best of them. Here are Curly Hairstyles for Teen Guys to try this year. Joshua Rush’s hairstyle is pretty much a variation of the quiff. A hairstyle like this works well for both medium and curly hair guys. The combed over hairstyle is especially recommended for teenage boys with think hair and if you have faded sides then this is a good way to show them off too. Corel Fogelmani from the Disney show Girl meets world, is known for his long swoopy and side swept hair. It’s a totally dapper style and surely worth trying for all guys. Do let us know which of these celebrity’s hairstyles you liked the most and if you’ll be trying any of these out soon.